Are you clueless about the new rationing system? Is the points system making you feel pointless? 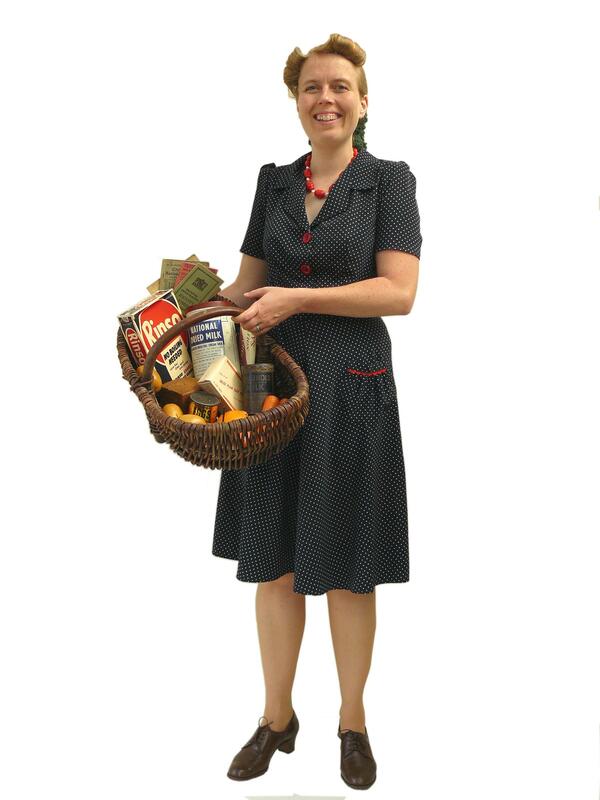 Then let Ivy introduce your visitors to the realities of war time rationing. Ivy explains in simple terms how the rationing system works, what food is rationed and what isn’t. The quantities they will be allowed and how their ration book should be used. 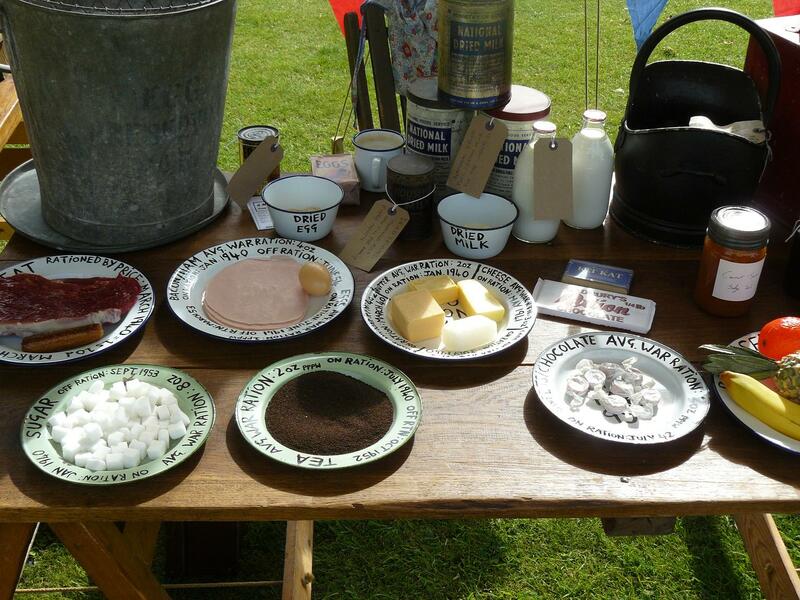 Younger visitors can learn in a hands on manner by playing shop and measuring out a weeks rations into a basket and crossing items off in the ration book. They may also look at the 1940s money. From the wonders of dried egg powder to the many uses that potatoes can be put to, Ivy can explain it all. Run to passing trade throughout the day.